A can't-miss "Eat at Joe's" neon sign leads to you the West Seattle outpost of Chow Foods (5 Spot, Hi-Life), with the restaurant group's usual rotating regional menu. 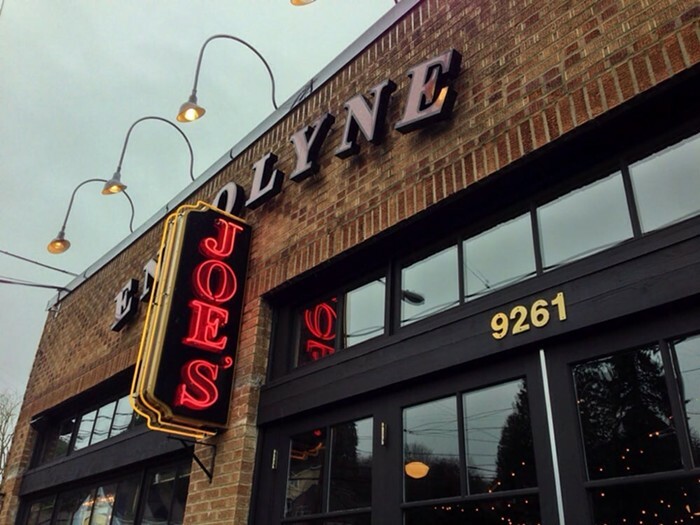 "Endolyne" refers to the long-gone streetcar line that used to terminate in the Fauntleroy neighborhood, but the oak bar in the Last Stop Lounge is too busy to let you weep for long about Seattle's last best effort at mass transit. Happy Hour Mon-Fri 8-11 am (breakfast specials); Mon, Wed-Sun 3-6 pm; Daily 9 pm-close (rotating $4-$6 menu, $4 wine by the glass, drafts and wells); Tue 3 pm-close.